Small on the outside, spacious on the inside, Matt Wood takes the latest shuttle-sized offering from Bonluck for some Gold Coast cruising. Anyone with a soft spot for high camp science fiction with lots of rubber monsters will remember the Gen X era of BBC television’s Doctor Who. In fact many a fully grown adult of a certain age will now confess that the spooky theme music was often a background to feverish childhood nightmares. But the one consistent character of the long running series is the Tardis, a time machine in the shape of an old London Police booth. The defining characteristic of the Tardis was that it was significantly bigger inside than it appeared from the outside, enabling the Doctor and Co to flit from one weird and wonderful scenario to another. 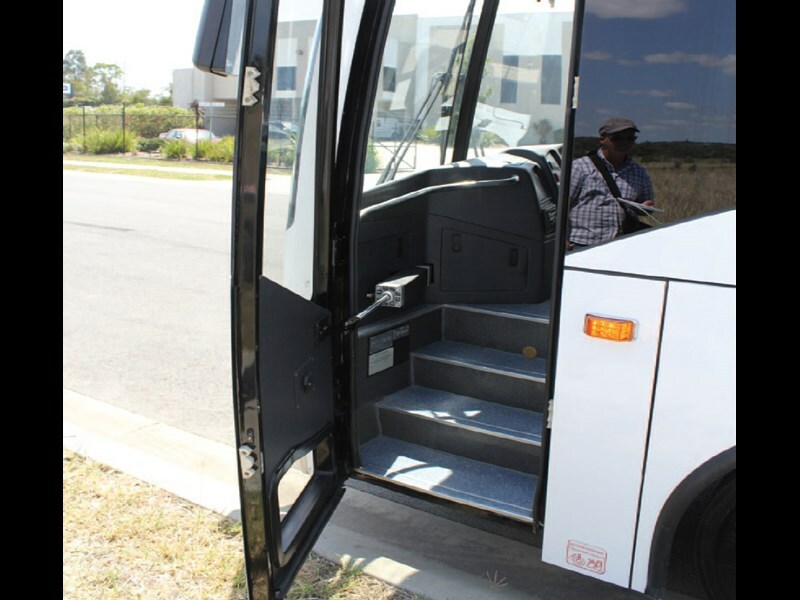 The new Bonluck (BLK) Senator 8 midi coach on offer from Bus and Coach Sales Australia (BCSA) is in many ways not unlike the Tardis, appearing deceptively small from the outside and surprisingly roomy from the inside. 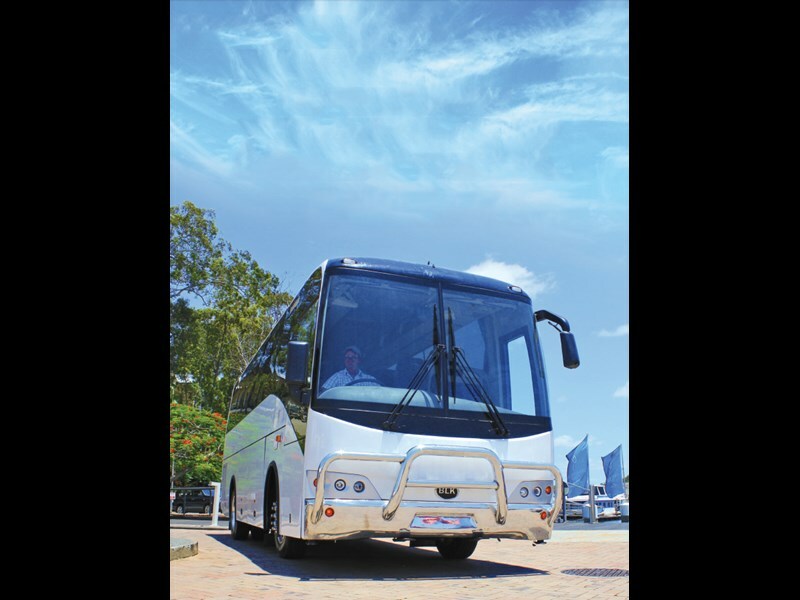 The 8.7m long, 3.6m high 35-seat coach is a new addition to a market that is enjoying growing interest from airport transfer and in-bound tourist operators, and conceptually it’s easy to see why — the higher seating position makes for a much more pleasant vantage point to see the sights from. As anyone who’s sat hunched in a mini bus clutching his or her camera for hours on end will tell you, hopping out at the end of the tour can make you feel like you’ve just unfolded yourself from a particularly challenging yoga position. On top of this, luggage, or more to the point storage is also an issue for these airport/short tour type roles, the obvious solution of course is to use a luggage trailer to handle the bags. However towing a small trailer behind a large vehicle can pose more than a few challenges from a visibility and from a manoeuvrability point of view. Especially if the driver has to go backwards, where, by the time the driver sees the trailer in their mirrors it’s often too late to straighten the combination out. 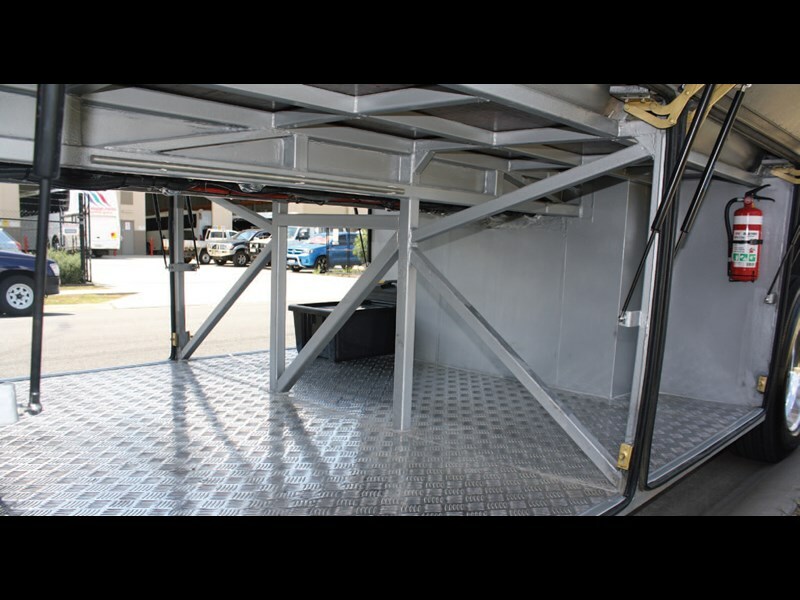 This is where the Senator 8 gets interesting, providing a whopping 5.64 cubic-metres of load through under floor storage, mostly eliminating the need for towing a pesky trailer. If that isn’t enough, the Senator 8 can also be specced up with a rear storage compartment expanding cargo possibilities even further. Climbing aboard the stubby Senator at BCSA’s Gold Coast headquarters I was immediately struck by the sense of space. 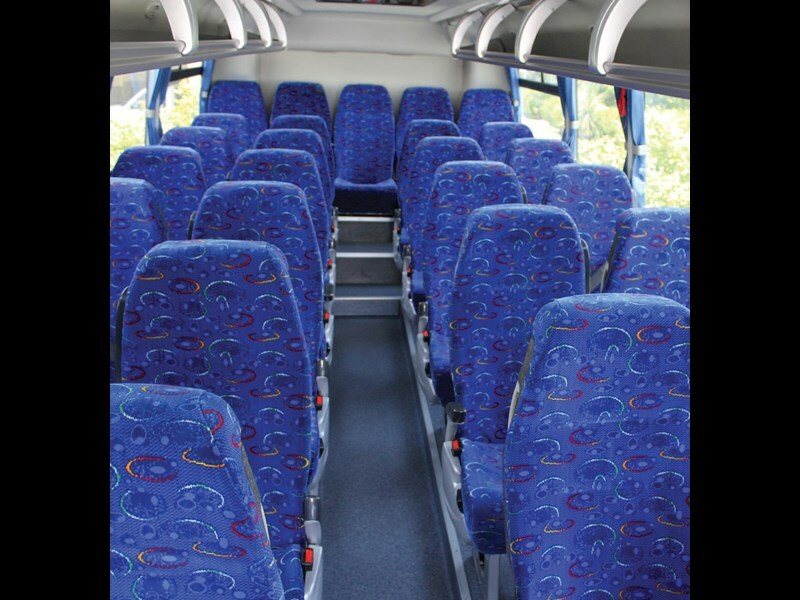 In fact, the Fainsa seating seemed very generous as I slouched around in the various seating positions. From the inside it did indeed feel like a much larger vehicle than its proportions initially suggest. Parking my posterior on the CVG driver’s seat to get comfortable for the drive however highlighted one niggle. The first and last thing a driver tends to do when hopping in or out of the seat is tilt the steering wheel out of the way. The twist knob tilt adjustment low on the right-hand side of the steering column seems clumsy and awkward to use. An easy-to-access lever or button would be a much more user friendly system, and the same goes too for the telescope adjustment on the other side of the column. Another niggle is the left to right lap sash seat belt that keeps you fishing around on the wrong side looking for the belt. However, having the seat adjustment controls on the left of the seat base does make more sense as you have space to lean over and see which button you’re fiddling with. The remote mirror adjustment was handy with the mirrors providing good visibility down both sides of the vehicle. The little BLK was also equipped with a more traditional style saloon door which no doubt will appeal to those who prefer the low maintenance and sealing characteristics of this type of door. As the door swung shut it was time to hit the D button on the Allison automatic gear selector and get this baby on the road. On paper the 4.5-litre four cylinder Cummins ISBe5 selective catalytic reduction (SCR) engine should fit the bill perfectly with its 152kW (207hp) and 760Nm (560ft-lb) on tap, but as I negotiated local traffic, low down performance seemed a tad anaemic. When hitting the accelerator the drive train seemed to stop and think before reacting, feeding power to the back wheels in a leisurely fashion. Because of this it took a while to adjust to anticipating traffic flows at intersections and roundabouts, needing just that bit longer to get the wheels turning. 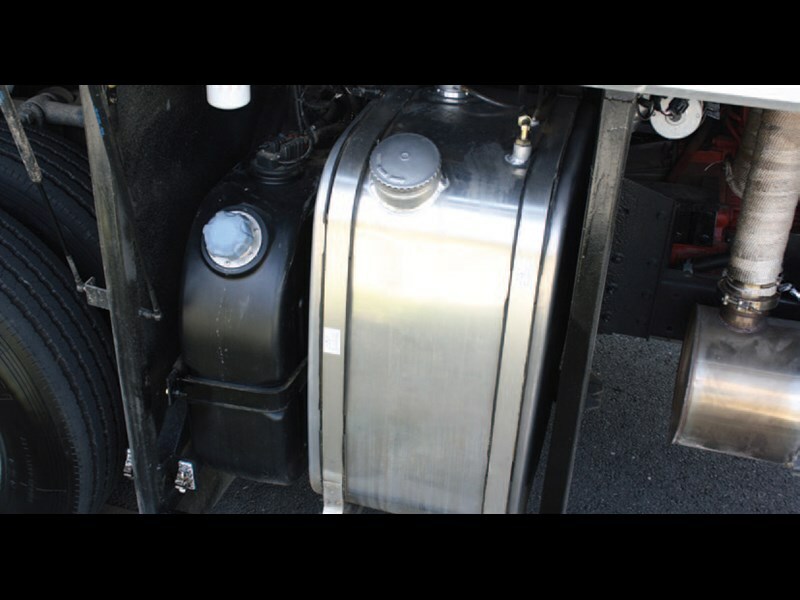 Of course this does prevent passengers from throwing their soft drinks in their faces as the driver plants the foot, but I felt there seemed to be a lack of torque that affected the driveability of the coach at low speed. Conversely, once out on the open road at freeway speeds the Senator 8 seemed very happy if not eager to answer the call of my right foot which made me wonder if a different diff ratio could be the answer for round town duties. 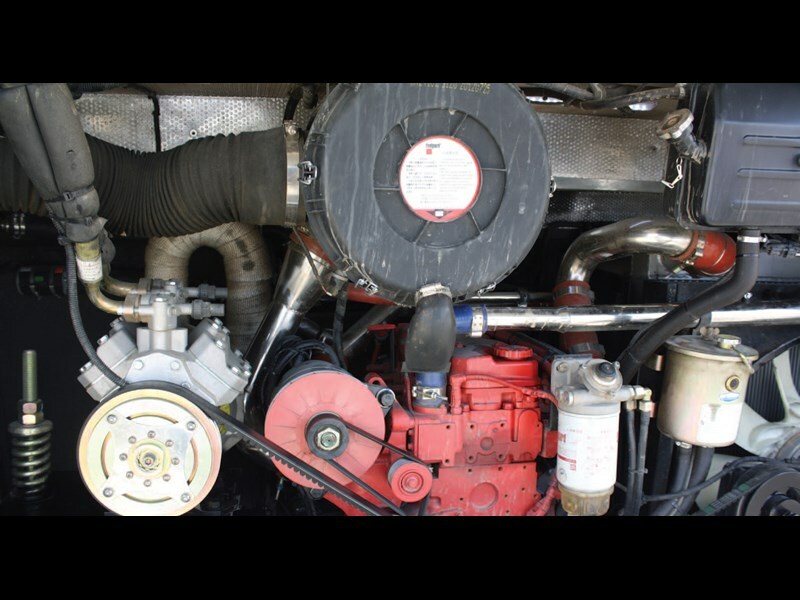 The gearbox mounted retarder was excellent, and this combined with the Meritor brakes made pulling the empty vehicle up safe and easy and I was left in no doubt this would also be the same with a load of warm bodies and their bags. The ZF style air-suspended Jinben steer axle felt a tad floaty on the open road but I’m sure a load of passengers and luggage would also settle things down a bit. It’s probably also worth taking into account the higher side profile of this style of bus which will catch moreof a side breeze on the highway. But, where the Senator excelled most was manoeuvrability. We took the 35-seater for a stroll among the palms at Sanctuary Cove where I got to terrorise golf buggy driving locals around the marina precinct. 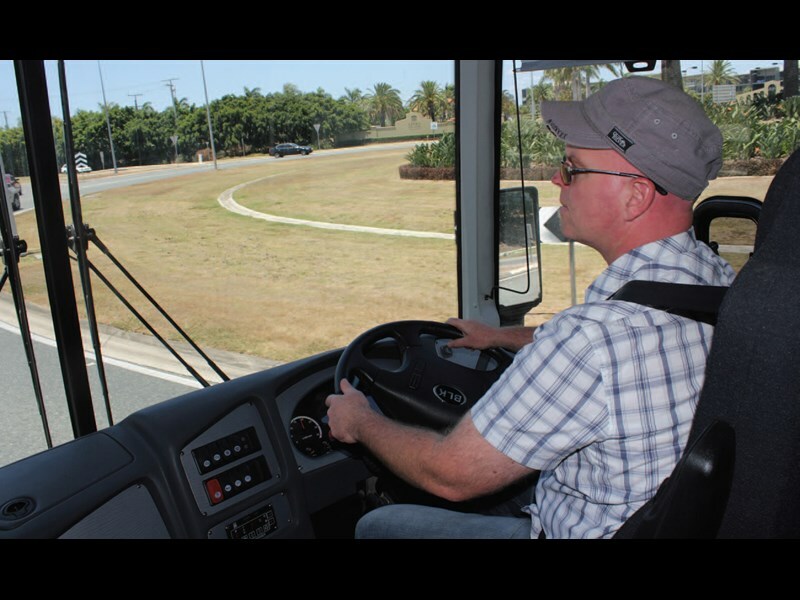 No doubt the locals probably didn’t quite appreciate being used as human traffic cones in a bus test drive but the Senator 8 proved extremely nimble as we trundled around the shopping centre and out onto the edge of the marina. The modest dimensions of the BLK meant that I was able to reverse into a parking spot with ease, aided in part by the rear camera display on the instrument panel, and in an area not designed to handle bus traffic at all. The big-little bus was a cinch to poke around the busy little spot and the minimal overhang afforded by the wheel base made every twist and turn an easy proposition. At idle however, the little ISB engine seemed a bit noisy, with the engine sending a resonant hum though the body work, this also became more pronounced when the engine was under load at between 1,200–1,400rpm. After hopping out of the Senator 8, it was easy to see the attraction that this sort of vehicle has for airport pick-up operators, from staff shuttle to hotel transfers the nimble little BLK does make a lot of sense. Also taking into account the generous amount of storage space available, it would be easy to forgive some of its more minor shortcomings. After all, it’s probably a much safer way to travel when compared to ripping a hole in the time-space continuum.